(1) Rodarte's washed out romantic looks. 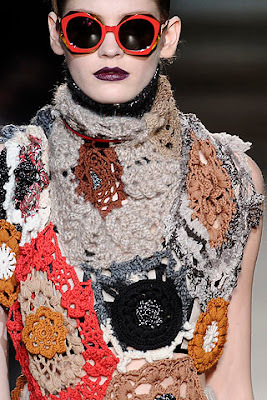 Dark-hippie femme-fatale layering at (2) Missoni. The perfect modern wardrobe possibilities of (3) No. 21. 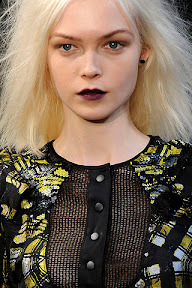 (4) Proenza Schouler's 90's goth babe. Leather is still tops at (5) Celine. 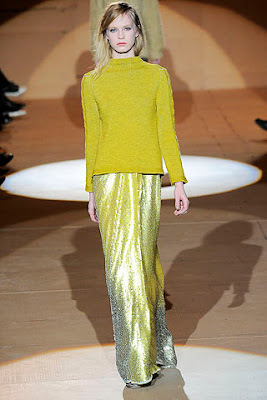 (6) Marc Jacobs' classic, refined luxury. 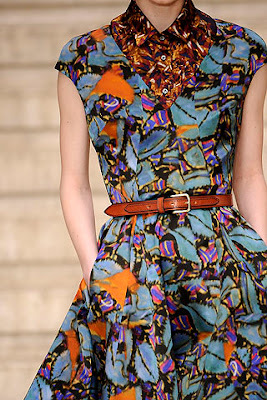 The prints on prints at (7) Erdem. 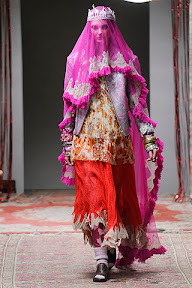 (8) Meadham Kirchoff's love of veils and "more is more" philosophy. The simple silhouettes with outstanding prints at (9) Marni. 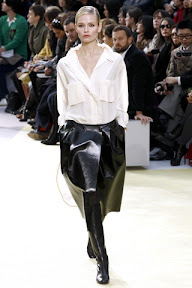 (10) The Row's wonderfully executed, tightly edited, minimalist dream of a runway debut collection. but where is alexander mcqueen? I am kind of pretending that Alexander McQueen's Spring collection was his last one out of respect. i hear you. it was just really powerful and it hit me in an unexpected way, as i'm sure it did for a lot of people. wow, look at that, I'm already drooling, great color, looks superb. how i wish i could get one of these!! Love this post! I adored Rodarte far more than usual this season. BTW do I spy the A. Wang cat-eyes in your blogger profile picture?!? !